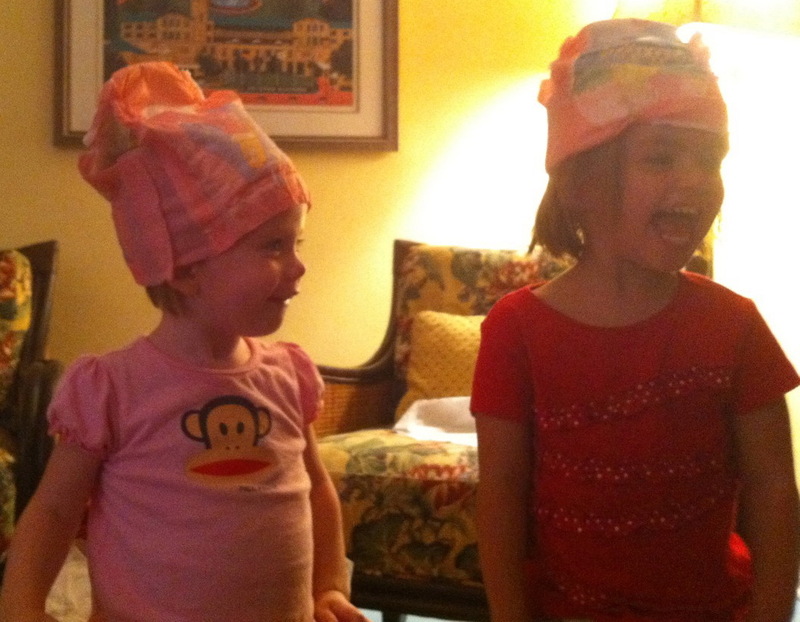 Jenny-Jane and Helen in their Pull-Up "crowns"
I'm a pro. Radiation? Oh yeah, I've done that. It's nothin'. So today was my first day of radiation, and seriously, it was easy-peasy. Ten minutes or so under the big machine, and I'm out of there. The technicians make sure I'm in alignment, the machine makes a few noises and it's over. There's no pain (yet) and it's fast. I did feel strangely tired this afternoon, which is a normal side effect. I didn't think it would happen so fast, so maybe I was creating my own destiny by thinking I should be tired, but who knows. I also realize that my skin will start to feel and look burned in the next week or so, but for now, it's just fine. Sweet Nick accompanied me this morning to my appointment just in case I got that technician who made me feel like crying again, but I didn't get her and I had no need to cry today. I actually got a lot of that crying out of the way Sunday night. I went to my first yoga class in 5+ months and had tears running down my face during most of the session. Thank goodness it was a "restorative" yoga class where it's mostly meditation, and everyone had their eyes closed. It was cathartic. Ok, so I just looked up "catharsis" to make sure I was using the word correctly, and the definition was "the purging of emotions or relieving of emotional tensions". Holy moly that was the perfect word. That's exactly what happened and it was wonderful, in an odd sort of way. Tonight my lovely neighbor Amy and her perfect daughter Helen came over for an early birthday celebration for Jenny-Jane who turns two on Thursday. They brought a truly beautiful and delicious pink bday cake from Barb's bakery (fit for a party of ten), a beyond cute homemade pink tu-tu and ballet slippers for the little lady. How sweet is that?? My favorite part was when Helen put a pink pull-up diaper on her head like a crown and sang happy birthday to Jenny-Jane. Of course Jenny-Jane had to run for a pull-up/crown for herself too. Oh, and all three kids, including Fisher, had to take turns licking the cake after candles were blown out. Why not? So we are rollin'. Radiation is underway. Jenny-Jane's bday is this week and Fisher's in pre-school. Nothing weird to see here, please move along. Like I always say, "fake it till you make it". 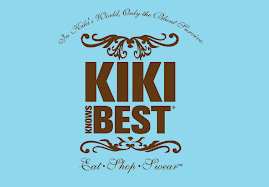 Your an inspiration to me Kiki! What a lovely friend to have a little early celebration for Little Miss Cutie Patootie! I say celebrate her little bday all darn week! It's her birthweek! She is such a little blessing! Goodness I love that little girl! I am going to a golf tourney today and would like to pick up a pink pull up to wear as a crown...I'm selling raffle tix and think it might help me (couldn't hurt). Love & hugs to you darling friend.